Cygnet Cedars is a 24-bed high dependency complex care service for men with learning disabilities and other complex needs. The hospital has a further two bed step-down service, allowing for further community integration and focus on daily living skills. All bedrooms are en-suite and furnished to a high standard and the people in our care are encouraged to personalise their bedroom to their own taste. 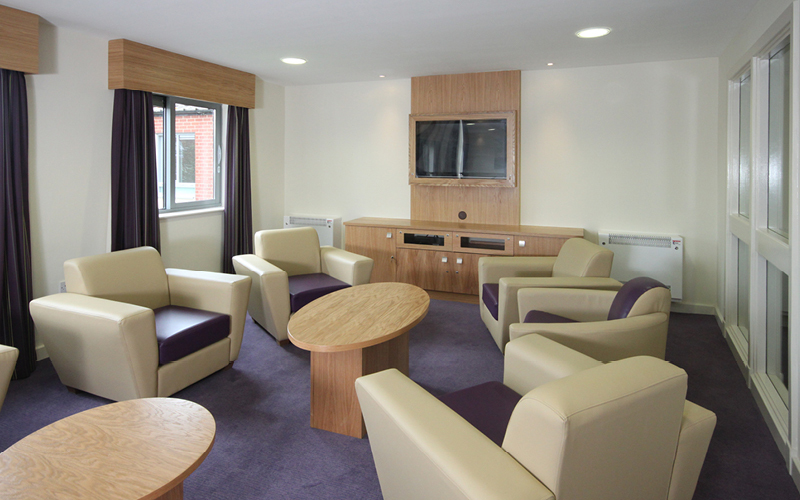 Our communal living spaces are fresh, spacious and encourage social interaction. In addition, our staff to individual ratio is an important element of our service. A number of clinical studies have demonstrated the positive impact that high staff ratios have on individual development and standard of care.